Korean manufacturer LG has a record-breaking smartphone on its hands. The LG Optimus LG Pro sold more than 1 million units in only four months in Korea, reaching that milestone in the country faster than any other LG phone ever. The previous record holder was the LG Optimus LTE which took 7 months to hit the 1 million sales mark. LG gives credit to the phone's large 5.5 inch display, LTE connectivity, sensitivity and the UX. The Korean manufacturer decided to just pass along these results from the sales in its own backyard which averaged over 8000 units sold each day. 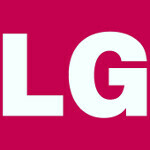 In the U.S., the LG Optimus G Pro is available from AT&T. The phone launched in the states on May 10th. It's a real nice phone. The screen is better than my gn2. I think htc one got higher unit sold im not so sure >. This is really the phone I wanted , but it did not come to Verizon and Verizon is the best in my area.